one exymple of from my 3d works. 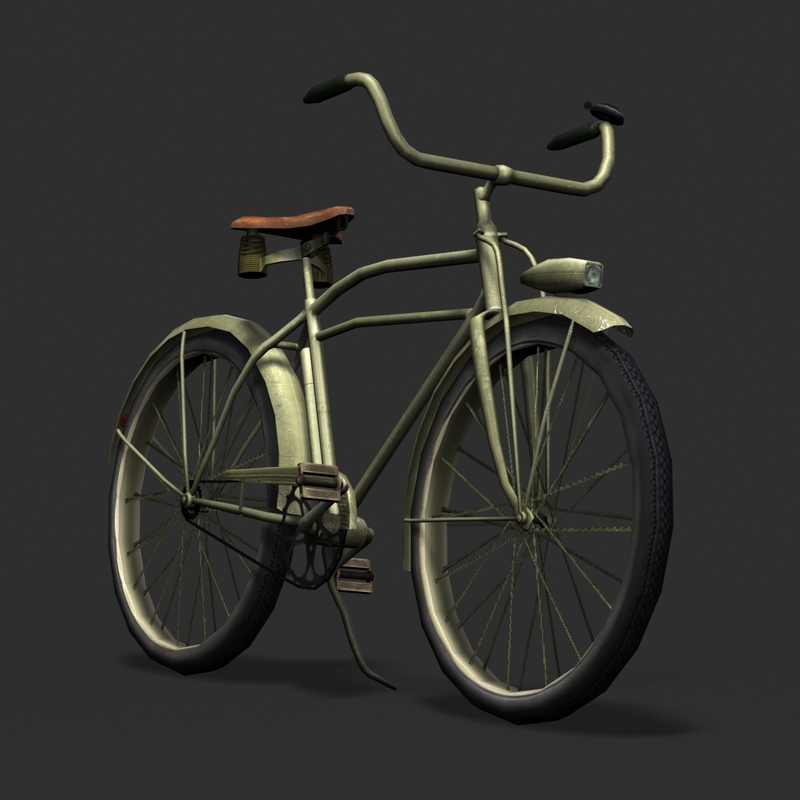 Polygonal model of realistic US Army bicycle Huffman 'M305' which was used in World War 2 by Americans and British soldiers. Bicycle is in olive colour scheme, with leather seat. I presume it's for a real time game since it's so low poly. How many polygons does it use?